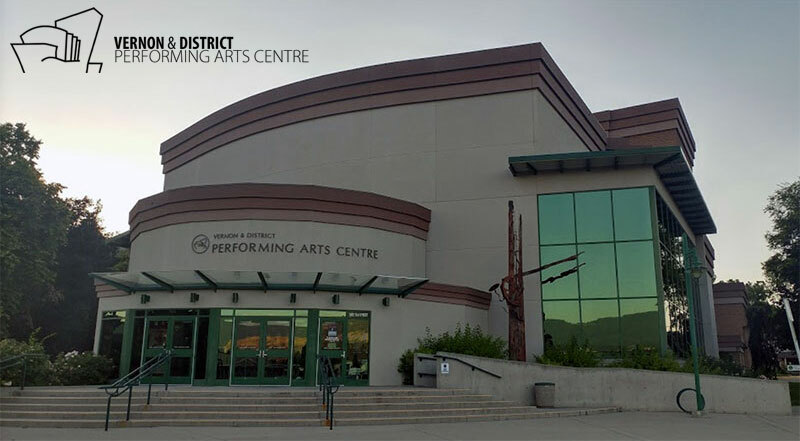 As we passed our 15-Year mark at the Vernon & District Performing Arts Centre, we had many pieces of equipment and infrastructure that were scheduled to be replaced. Among these were our four 96 Channel Strand CD-80SV Dimmer Racks. 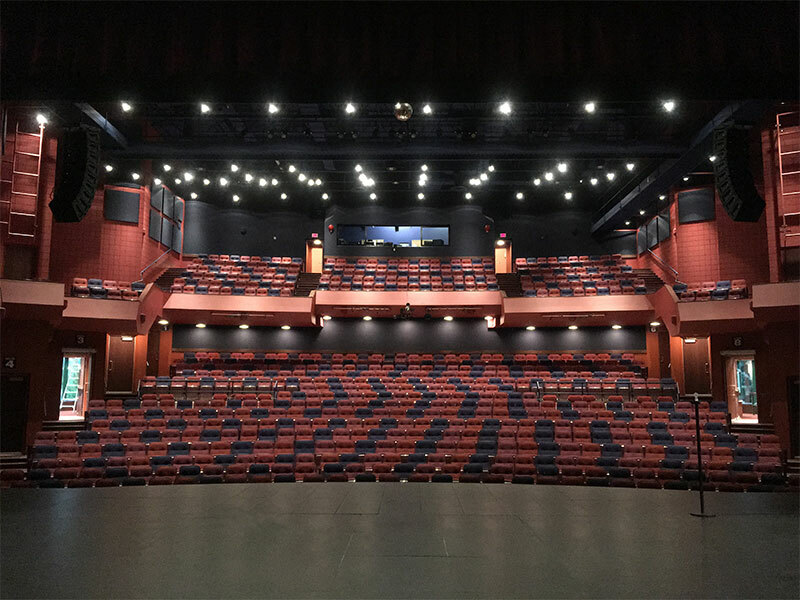 At the time they were originally installed LED fixtures weren't even on the theatre's radar as a viable lighting solution. With current advances in technology, however, they have become more and more desirable and we are currently looking to augment some of our rig with LED fixtures to increase our available options for lighting the many different styles of show that come through our road house. At the same time, we still want to keep a large portion of our incandescent inventory in use (mostly our ellipsoidal fixtures) so this presented us with a challenge. We were stuck needing to be able to supply both non-dim power for future LED expansion while also needing to retain significant dimming potential for the remaining conventional inventory. Additionally, the costs associated with completely replacing our dimming infrastructure were immense and would prevent us from being able to purchase any LED lighting as a result. Enter Johnson Systems Inc. with their Retrofit Solutions. 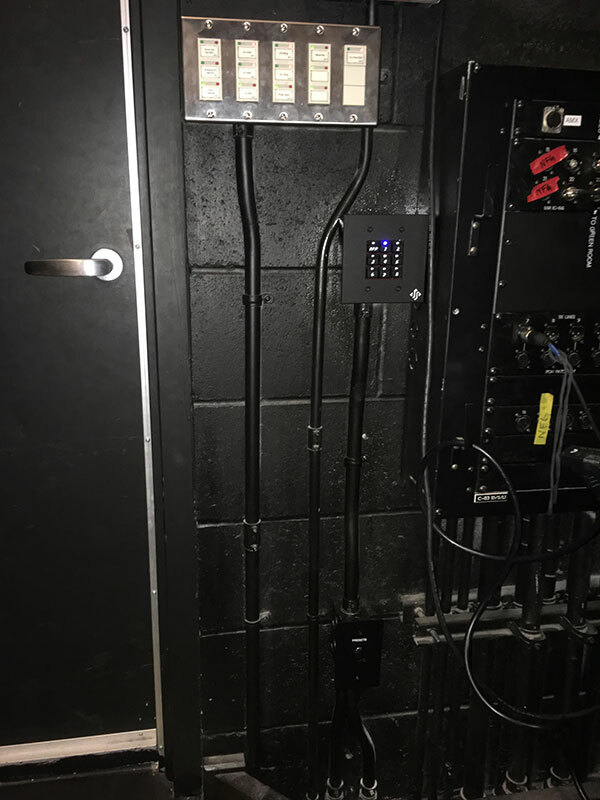 It was clear quite early on that JSI had a fantastic product that would not only meet the specific needs of our theatre today, but also allow for future expansion as we transition more fully to incorporating intelligent fixtures in our rig. 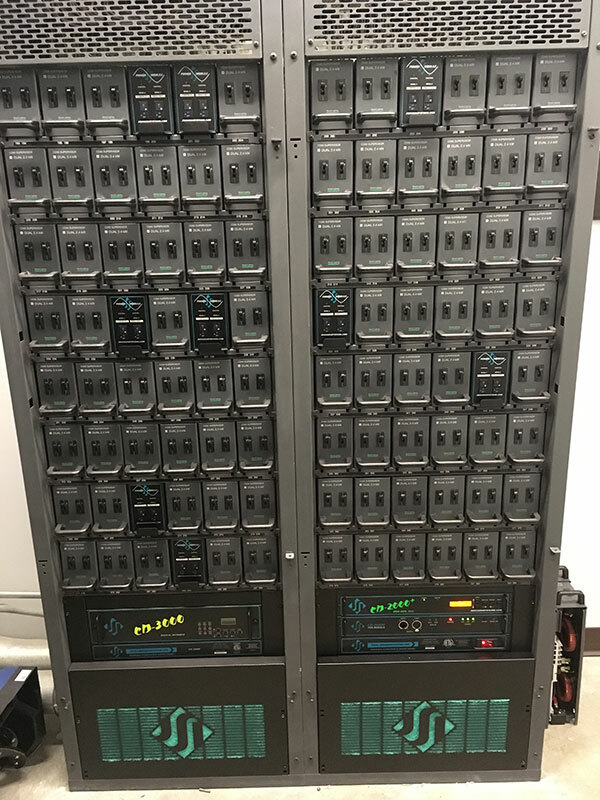 We now have three (3) CD-3000 Modules and one (1) CD-2000+ Module installed in our 4 Dimmer Racks as well as the addition of ten (10) CD80PM-SV Power Modules to eventually power our new LED fixtures. We were also able to update our existing House Lighting control system with JSI's CS-2800 Series System Management Controls, and I personally could not be happier with the end result. The CD-3000 and CD-2000+ control modules installed cleanly and quickly and offer a robust list options and settings from the program menu which have allowed us to customize their behavior to perfectly suit our needs. Additionally having our house lights now controlled by the CS-2800 has opened up far more capability and solved a few of our existing problems with a few of their features, specifically being able to "lock" station control to prevent accidental toggling of the house lights during a show. 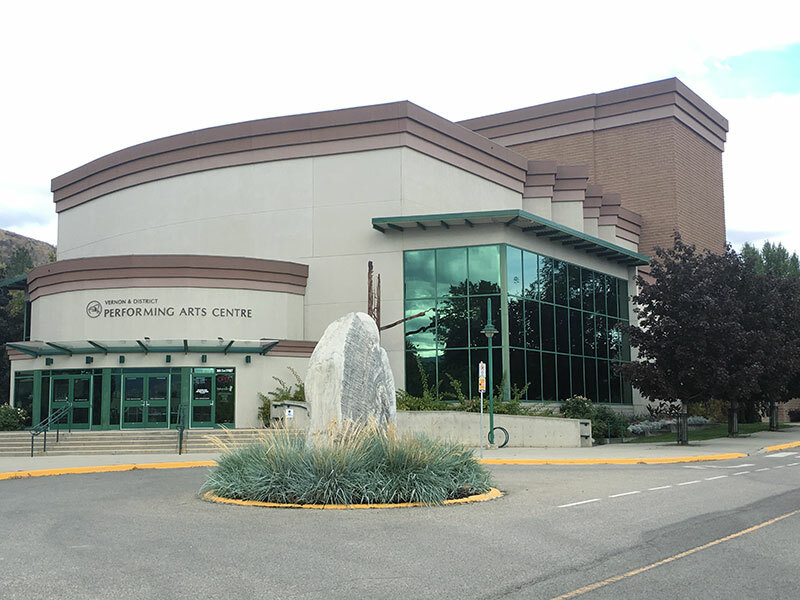 All of these changes have led to a more versatile and better equipped theatre and the cost savings associated with adopting a retrofit solution have been substantial. 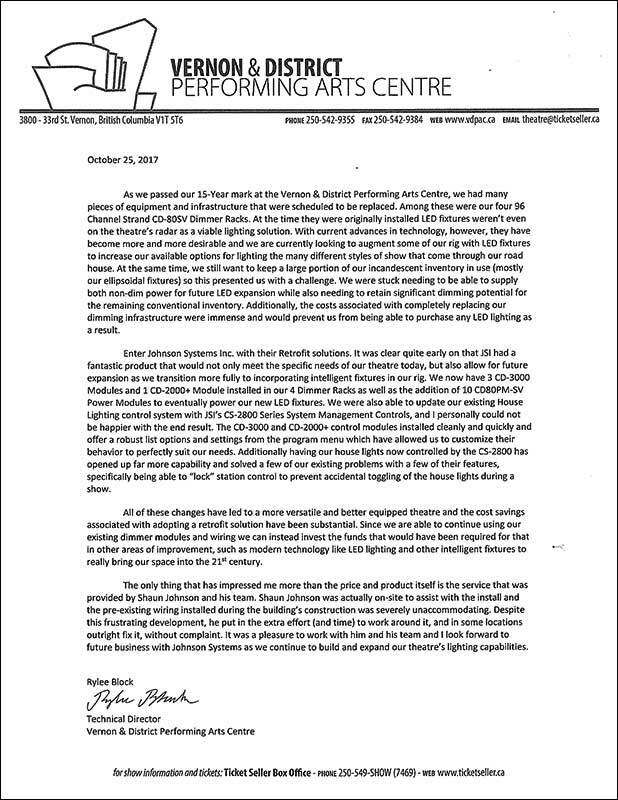 Since we are able to continue using our existing dimmer modules and wiring we can instead invest the funds that would have been required for that in other areas of improvement, such as modern technology like LED lighting and other intelligent fixtures to really bring our space into the 21st century. The only thing that has impressed me more than the price and product itself is the service that was provided by Shaun Johnson and his team. 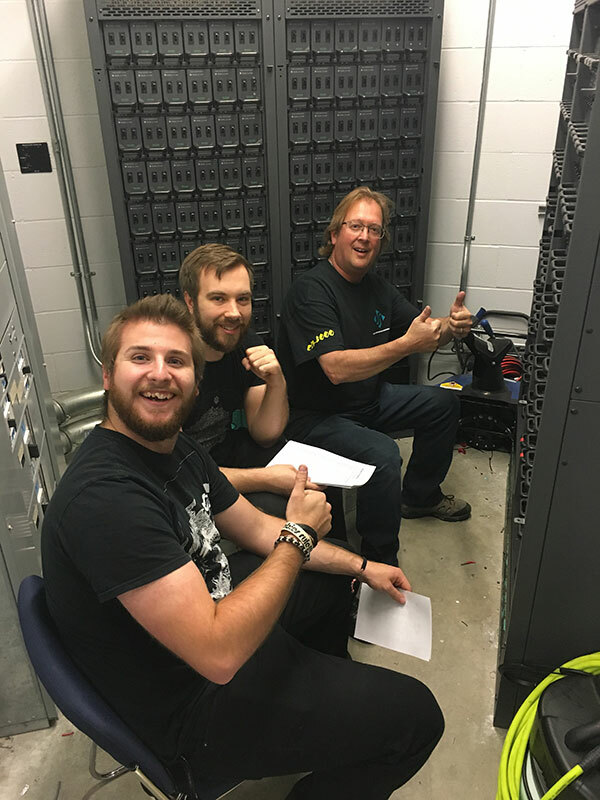 Shaun Johnson was actually on-site to assist with the install and the pre-existing wiring installed during the building's construction was severely unaccommodating. Despite this frustrating development, he put in the extra effort (and time) to work around it, and in some locations outright fix it, without complaint. 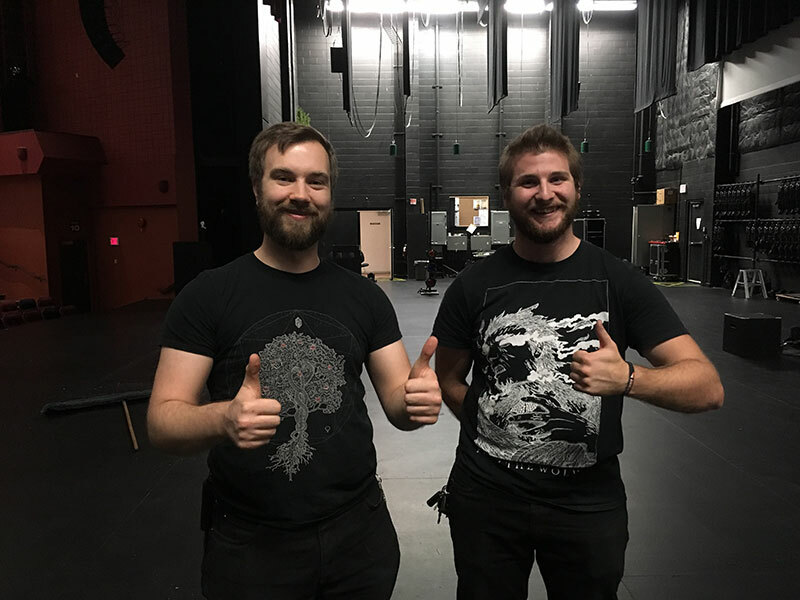 It was a pleasure to work with him and his team and I look forward to future business with Johnson Systems as we continue to build and expand our theatre's lighting capabilities. 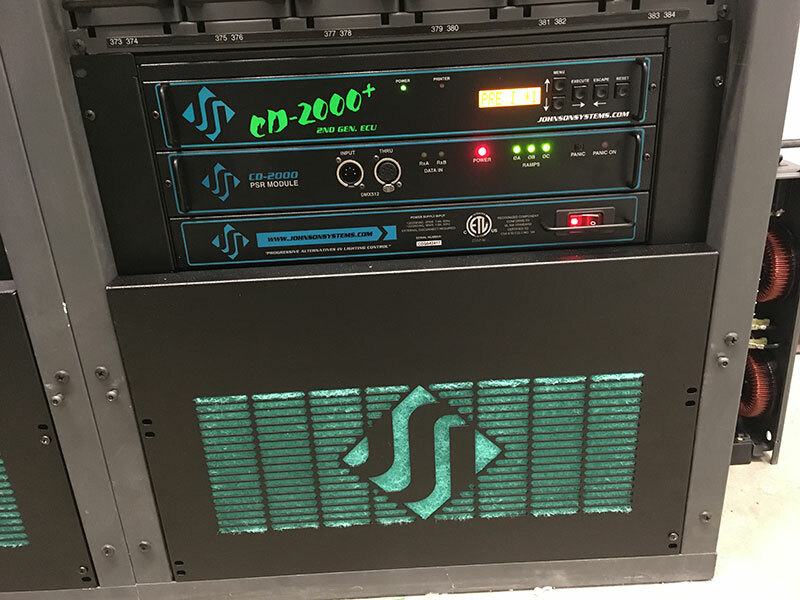 JSI's new CD-2000+ in rack, 4 of 4. Rack 4 CD-2000+ link to new CS-2800 Series house control stations. 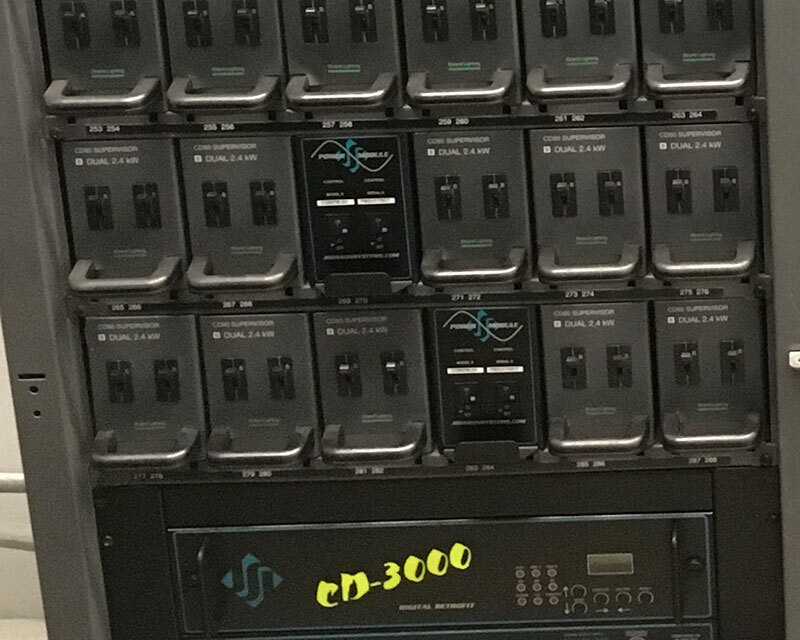 Racks 3 and 4 of hybrid installation containing both CD-3000 and CD-2000+ control systems. 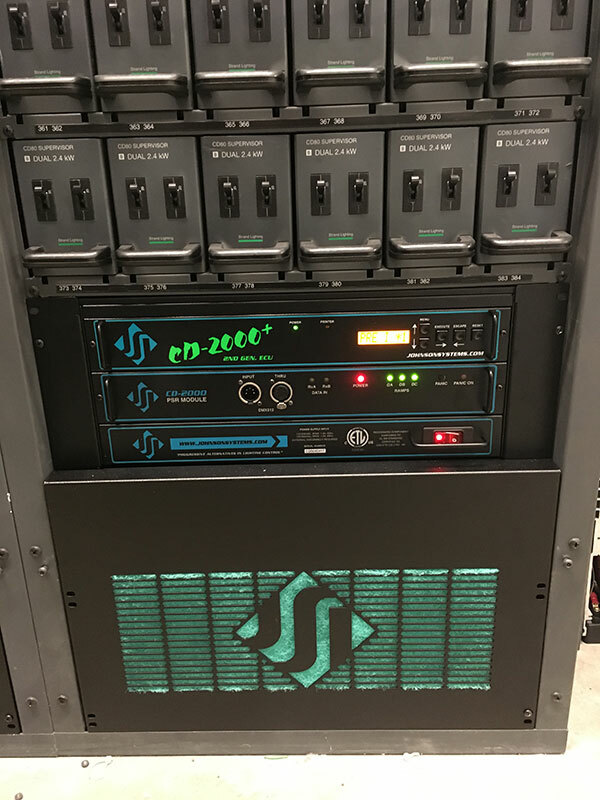 Note the JSI CD80PM-SV Power Modules installed in these dimmer racks. JSI CD80PM-SV Power Modules intermingled with standard dual 2.4Kw dimmer modules. "Plain and simple, its a superior dimmer upgrade to the OEM units I've sold in past and my go to solution for when the panicked customer calls. Not many manufacturers will stand behind a product for up to a 10 year warranty. It's everything the JSI website says it is. Reliable, more features, better fan system and way more flexible. I was even surprised to see that locking connectors are actually a JSI feature. Best part, from an installer and suppliers side, I don't have to worry about the grief frustrations of the past. It's a no brainer for me. Profit isn't clawed away with added labour and added shipping charges for product shipping back and forth to USA. Solid company. Solid staff. Great results. Refreshing to still have companies like JSI around that are not based on corporate money focused on shareholders. More often than not, you get what you pay for, but with JSI, a retrofit saves cash as Rylee explains."